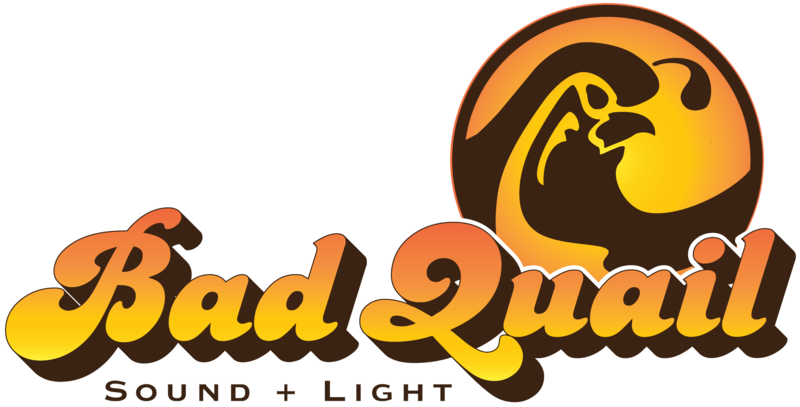 Bad Quail crew members provide friendly, knowledge service and an unmatched skill set. Our crew works hard to make your event run smoothly. Owner Tim Hite got his start in production, working on production for events and theater in high school and continued working on theater productions through his college years. Tim eventually grew into to providing live sound and DJ services at college events. In the 90’s, Tim moved upward and began producing large scale events in Southern California, including festivals for up to 12,000 people at famous venues such as The Shrine Auditorium, The National Orange Show Center and The Olympic Auditorium. This experience eventually led to providing tour support with regional sound providers, and expanded Tim’s knowledge of event production. At the same time, Tim worked in music production, writing dance music and constructing a studio in his home. This experience eventually led to doing live recordings for chamber music, orchestras and rock acts. Tim has built a foundation of excellent technical skills and great customer service.